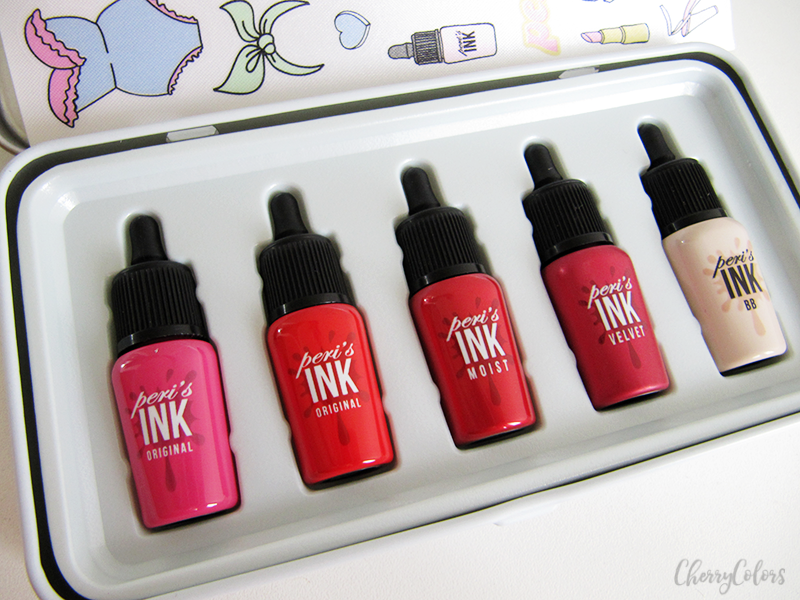 Peripera Peri's Ink Minimini Set Girls Cabinet - Cherry Colors - Cosmetics Heaven! From time to time I like buying fun products. Products that come in smaller sized and are usually trial sized. It was the same with this order. 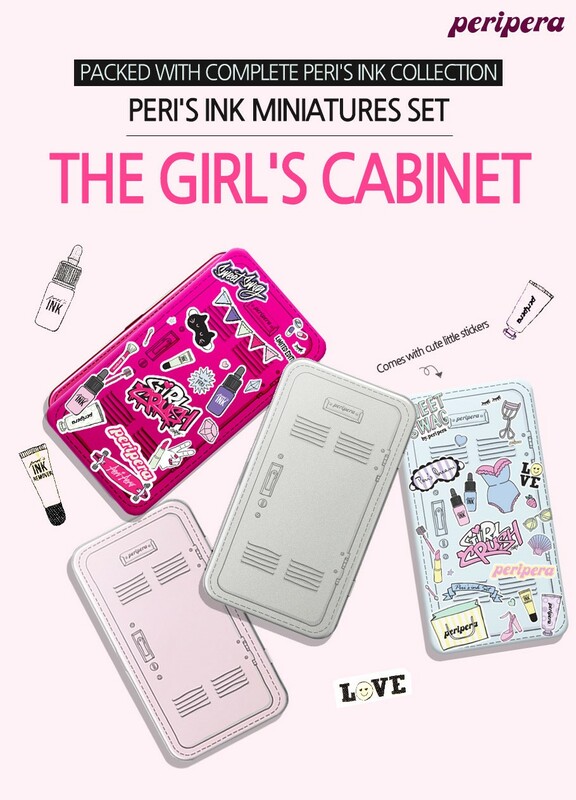 I got the Peripera Peri's Ink Minimini Set Girl Cabinet. That's a mouthful for a package of sample lip products. I know that I'm late to the party as I bought them at the end of last year's Summer. That's right, Summer! Of course, they took a month to arrive, so realistically speaking, I got them in Autumn. I could choose between a light blue case and a hot pink case. Both had slightly different lip products inside. Since I never owned anything made by Peripera before, I only have the size of this product. It contains 5ml of lip product. And let me tell you one thing - it's damn cute! I realized that I love cute, small products as they are a joy to use (mostly). 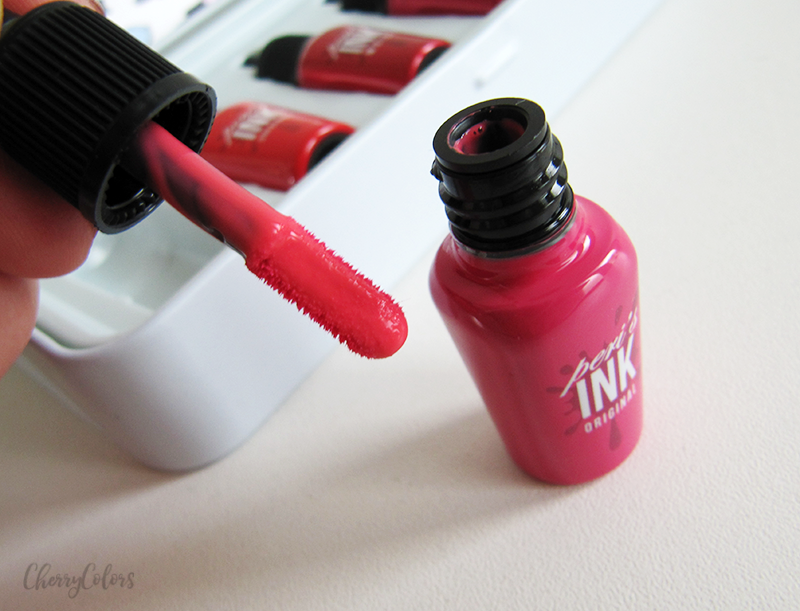 Each of them comes with a doe foot applicator that is very helpful for applying the lip product inside. 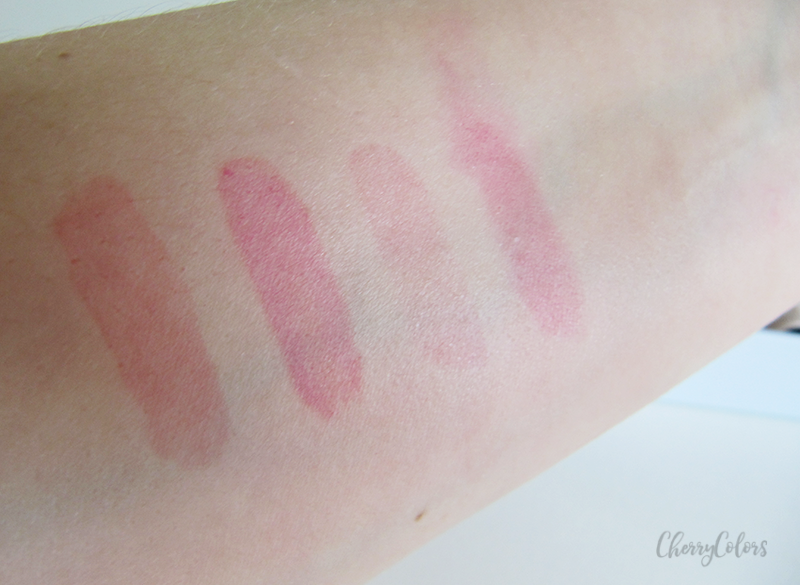 + A fun way to try some of the formulas of their lip products (original, moist, velvet, BB). - super cute design, I mean c'mon look at them! In the end, I love the design of the case, the fun stickers, the lovely lip products. 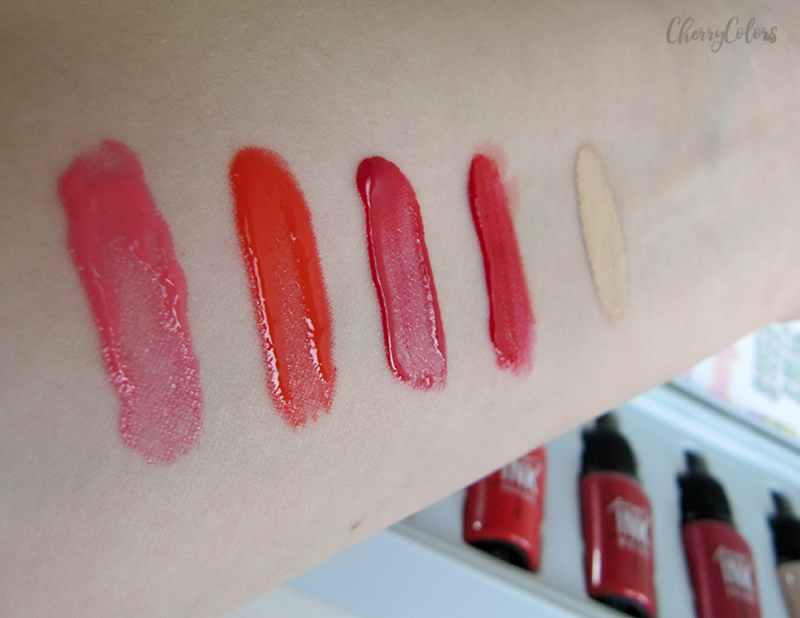 I ended realizing that I'm crazy about their matte formula and that the longevity of their lip products is absolutely out of this world. I still use them and enjoy them. Only one color didn't really show off on my pigmented lips (the light pink one with the Original formula) and I gave away their BB thing. I am not sure what it is. Are you meant to use it on your lips for a gradient look or is it their regular BB cream? I didn't really use it since I have other foundations that I enjoy, but I did find it interesting that they included it in this kit. Sadly it's not available anymore, but they have other fun boxes like this one. I am currently looking at their Juice box. Have you ever tried a "fun box" like this one? Did you enjoy it? Let me know in the comments below.